In the end, it doesn’t really matter if you have several thousand pounds of gravel to move or a family of four to shepherd to Lake Tahoe. When life calls you into motion, there’s really no letting it ring to voicemail. Whatever moves you and wherever it takes you, the Ram musters more horsepower, towing capacity, and torque to shrug off the world’s nastiest conditions and get you there comfortably than any heavy-duty pickup in its class. It doesn’t matter whether you’re bound for the heart of downtown or the mouth of the Mississippi. Plenty of trucks can deliver muscle to spare. When it comes to the spacious comfort of a sedan paired with industrial-strength power, the Ram is in a class by itself. Everything moves. Everything inevitably has somewhere to be. How you get there? That’s up to you. Our advice: when life shifts, enjoy the ride. 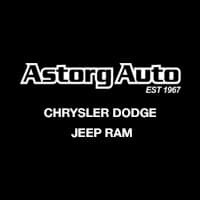 Visit Astorg Dodge Chrysler Jeep today to experience our inventory for yourself.